The Maruti Suzuki Baleno now comes with an automatic to appeal to a wider customer base. In our Baleno Diesel manual review, we came quite impressed with the stunning design and the handling characteristics of the car. One thing we also appreciated from Maruti was offering ABS with EBD, Dual front airbags, ISOFIX child seat mounts as standard across the range. 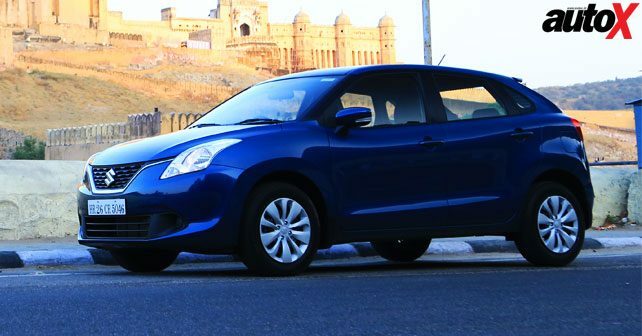 Now that we have the automatic, let’s begin with our Maruti Suzuki Baleno Automatic review. 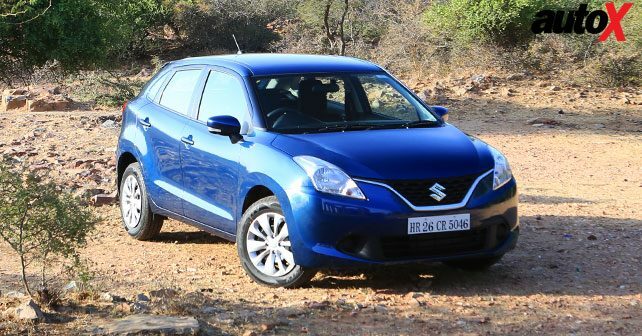 We approach the car, and realize that the Maruti Suzuki Baleno is offered with the automatic gearbox only in the second-from-base Delta trim. Being the second variant, the car is not equipped as well as the top spec Alpha trim. While the interior remains the same, it misses out on the Smartplay infotainment system, keyless entry, push button start and alloy wheels. You get electronic retracting mirrors, climate control and a two din stereo with Bluetooth, AUX & USB compatibility though, the leather wrapped steering is gone and you get a manual day/night inside rear view mirror. Further into the Baleno Automatic Review, the automatic is powered by the same four cylinder K12 series petrol engine, which produces 83bhp and 115Nm of torque. The engine is mated to a CVT automatic gearbox. The Baleno returns a 21.4km/l ARAI claimed efficiency making it the most efficient premium hatchback. Driveability is adequate from this engine gearbox combination in the city, the gearbox responds well to the throttle inputs and the right gear ratio is selected in a smooth manner. The CVT’s rubber band effect is noticeable as soon as you go hard on the throttle, the car revs till 6,000rpm after which the gear changes and the high NVH levels at higher revs let the car down. One thing we noticed in our Baleno Automatic review is that this engine has been tuned for city driving for the most part and it is where it excels the most. The city driving is comfortable and the fuel efficiency is commendable. The car feels planted at higher speeds and takes corners with confidence, thanks to the light weight it handles road undulations without affecting the ride comfort. The steering feels light at slow speeds and going faster does weigh up the steering a little. 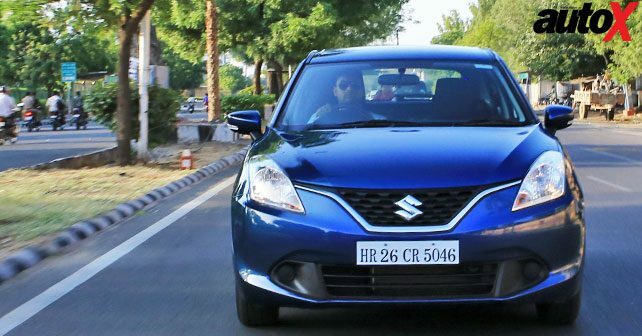 To read our full Maruti Suzuki Baleno Automatic review visit us at autoX and for more bikes and car reviews follow us on Twitter and Instagram.